Get huge Savings with our Discounted Tickets! Purchase tickets for only $100 here! (Now valued at $200). Limited quantity - Buy now. *Includes walk-in camping. Car or RV pass is an additional fee. 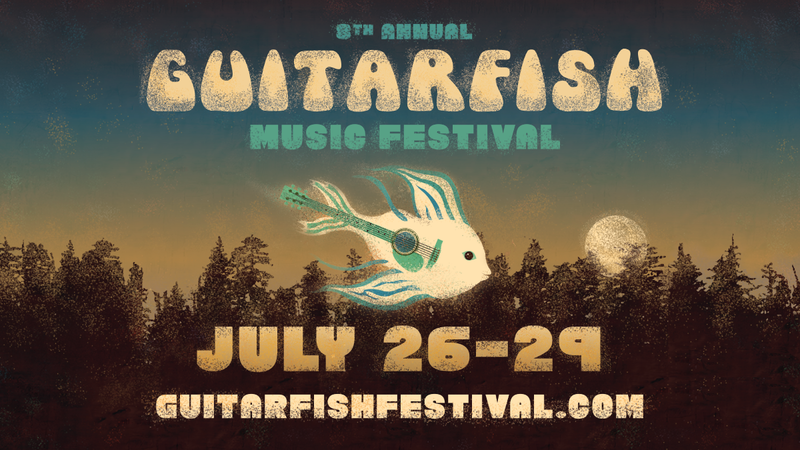 Guitarfish is an intimate camping and music experience in a magical setting; over a mile high, in the woods, on the South Fork of the Yuba River, at the Cisco Grove Campground. Known for a funk-tastic, groove-fueled musical lineup, the experience also includes an action-packed kidsville and family camp, all day yoga, workshops and playshops galore, and plenty of art, interactive activities and ‘random acts of mindfulness’. A short stroll from the stages you’ll find swimming holes, access to world class mountain & road biking routes, hiking + more. Camping amongst family and friends, while witnessing inspired live music in a natural setting truly enriches lives and fuels the heart! We’re thrilled to team up with our friends from the Joshua Tree Music Festival family to co-produce this event. JTMF is held twice a year (May and October) in the shadows of the otherworldly Joshua Tree National Park. Together we believe that music is power, and community is crucial. We’re all in this together! All weekend tickets range from $140 - $220 (get in early for the best price! ), kids 11-16 are $90, and kids 10/under are free! 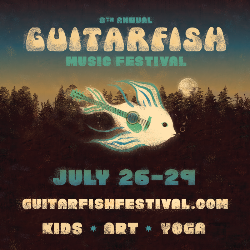 Head to guitarfishfestival.com for all of the info.